Seattle residents will be sipping their drinks a bit differently this summer, with biodegradable straws instead of plastic ones. 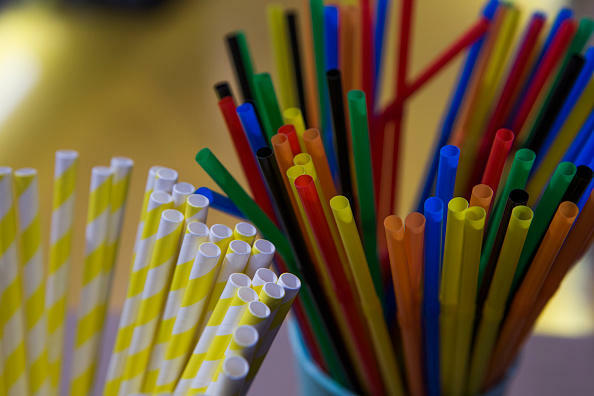 The Emerald City will become the first major U.S. metropolitan area to enact a ban on plastic straw and utensils when the law goes into effect on July 1, but the idea isn't new. The ban is stems from a 2008 city ordinance that leaders said wasn't realistic at the time, CBS affiliate KIRO-TV reports, explaining the 5,000 permitted food service businesses in the city didn't have other options. Now they do, thanks to the growing availability of paper straws and compostable utensils. "It's taking a stand on plastic pollution," Kate Melges, who works at the environmental organization Greenpeace, told KIRO-TV. "And really taking a stand on what needs to happen, a ban on all single-use plastic products." Other cities such as New York City and Los Angeles may follow Seattle's lead. The New York City Council introduced a bill in May to ban the use of plastic straws in the city, while the Los Angeles City Council has already approved a ban on single-use plastic utensils. "So, what we're starting to see based on the work Seattle has done is it's really empowering communities all over the world," Dune Ives, the executive director of environmental nonprofit Lonely Whale, told KIRO-TV. "To say you know we actually don't need that plastic use straws, and it's not difficult to remove it." Yet the push to be plastic-strawless hasn't been completely smooth, with some corporations resisting the effort. McDonald's shareholders rejected a proposal to study a ban on plastic straws at their 37,000 eateries back in May. The fast food giant did, however, say that they would phase the straws out in the U.K. back in March. So what is going to happen to those who don't comply to Seattle's new environmentally-friendly ban? The city isn't planning to fine violators, but will work with restaurants using single-use straws and utensils to assist them in making the switch.